ï»¿ ISE Cards India Ltd.
ISE Cards India Ltd has entered into an exclusive Global Marketing & Recruitment Partnership (GMP) with USA - United Students Association Inc, USA, ISE India is representing for Asia, Africa, Middle East, UAE and CIS Russian Countries and whole World for recruiting students for Schools & University Courses in over 300 Schools and many dozens of Universities. ISE Cards India Ltd is responsible to appoint Home Country Resprentatives (HCRs) in each country of the World. ISE Cards India Ltd has set target to recruit over thousands of students from India and other country of the world through USA Program. • The ISE Cards CMD Prof. Dr. Mohammed Seraj ANSARI has been appointed Vice President into USA-United Students Association Inc, USA. (www.usaprogram.org ; www.usainfo.org , www.usaprogram.info). Prof. Dr. Ansari is responsible for Marketing and Recruitment and exploring new ventures from all over the World. and have objective to present USA Program as an International Educational Brand in Asia, Africa, Middle East & UAE, CIS Russia Countries and Worldwide. USA Program is looking for motivated/eager agents (Home Country Reps.) who are willing to recruit middle/high school intl. 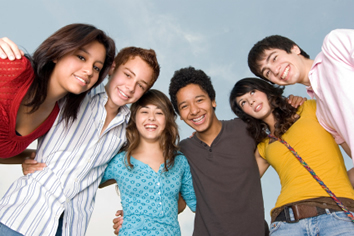 students (12 to 18 years old) to have an excellent experience living and studying in the United States. I would love for us to work together in partnership by helping to place your intl. students. The USA Program sponsors two separate groups of intl. students per year, those beginning their educational experience in August, and those beginning their educational experience in January. We refer to the August group of intl. students as “Academic Year” because the schools in the U.S. always begin classes in August and end in May (academic year). We refer to the January group of intl. students as “Calendar Year” because they come to the U.S. in January and stay throughout the full “calendar year” – January to December. The purpose of USA Program is not to match school/university to the intl. student, but rather to recommend schools/universities that best match the intl. student’s educational goals and personal desires. The United States of America has thousands of degree granting accredited colleges and universities. USA Program makes the process efficiently accessible to all.